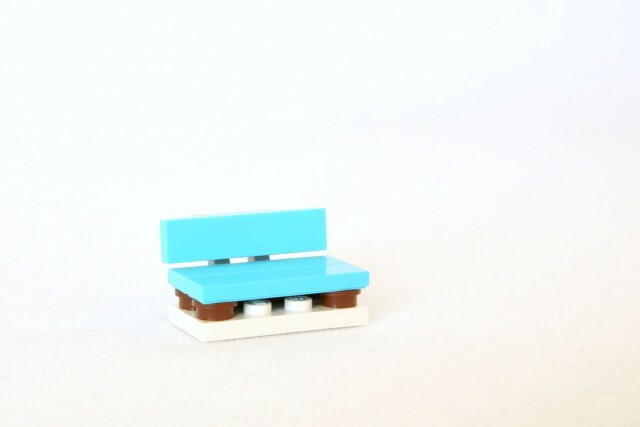 Today’s item is a cute little blue street bench. Finally! A place where the homeless of Heartlake City can call home. Or it could be seating perfect for Friends needing a break from the hustle and bustle of shopping, greeting and hot chocolate drinking. Go ahead…have a seat, take a load off and enjoy the magical holiday season. 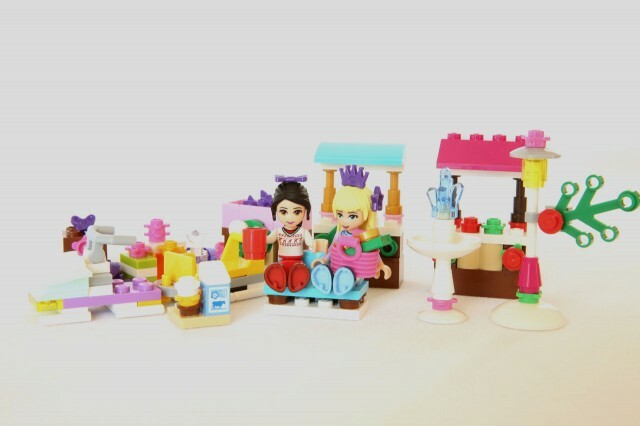 This entry was posted in Reviews and tagged 41016 LEGO Friends Advent Calendar by PeppermintJabby. Bookmark the permalink.